Looking for Hong Kong shopping sales? Time your visit right, and you’ll find yourself smack in the middle of sale season when you fly in from Chek Lap Kok – but only if you choose the right time to fly in. Sure, a casual look at the many sale signs around Hong Kong’s shopping districts might lead you to think that Hong Kong shopping sales are a permanent thing – but that’s not true at all. There are two main sales seasons in Hong Kong, though, where prices drop by as much as 50 percent – which we’ll explain below. Hong Kong’s most amped-up sales season takes place in the summer months (June-August) and is now complemented by the Hong Kong Tourism Board’s “Summer Fun” festival. During these months, sales signs pop up throughout the city, and shops extend their shopping hours until 10 pm or till after midnight. Shoppers on the prowl can find discounts of over 50 percent, particularly on end-of-season fashion items. Summer is when most fashion labels launch their autumn/winter collections, thus spurring them to slash prices on the previous season’s merchandise to clear the shelves. At Causeway Bay's Fashion Walk, for instance, local designers offer incentives to take unpopular items off their hands at seriously reduced prices. Big name department stores, like Shanghai Tang and Lane Crawford, take the opportunity to knock down their prices during the summer months. Other malls offer dedicated vouchers that can be used in various shops. Christmas sales season isn’t really a thing in Hong Kong... at least not compared to the months around Chinese New Year (around late January or early February), where the sales season really gets going. During this time of year, you’ll see plenty of sales signs, slashed prices, and two-for-one offers. It's also worth looking out for vouchers in the red lai see envelopes traditionally given out by stores in the run-up to New Year – these sometimes have big savings inside. 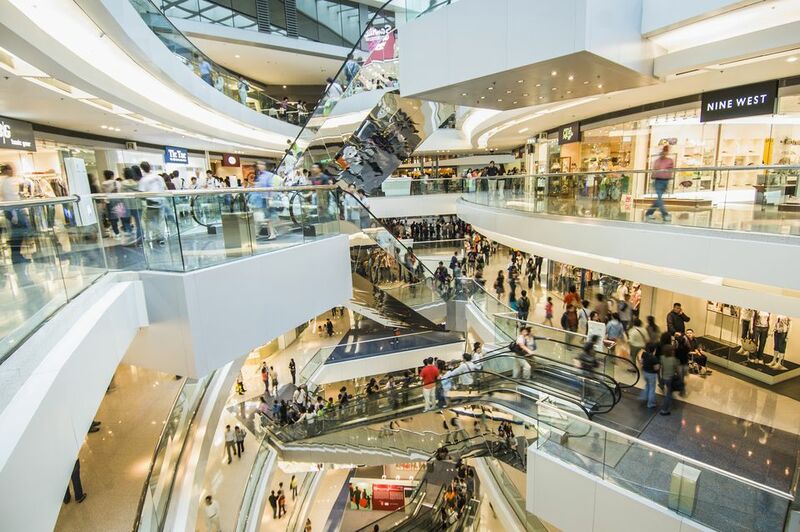 Sales in Hong Kong’s brick-and-mortar shops in the latter part of the year have become increasingly eclipsed by the region’s online answer to Black Friday. Singles’ Day (November 11) now spurs massive price cuts at most online outlets that spill out from beyond Hong Kong and Mainland China to the rest of the world. Sales in Hong Kong aren’t just time-specific, they’re place-specific as well. When it’s sales season, you’ll find the biggest price drops at Hong Kong’s malls and the city’s more upscale boutiques and designer stores. Not all brands and shops will participate in the sales, so don’t feel cheated if the shop you visit declines to lower their prices. For sales on luxury goods, visit Central, SoHo and Admiralty and look around for discounts you can live with. Start your upscale bargain hunt at Landmark Hong Kong in Central, Lee Gardens in Causeway Bay, and Admiralty’s Pacific Place. For branded, mid-range goods, look to Causeway Bay, Kowloon, and Tsim Sha Tsui for bargains. Malls to visit include Times Square and Sogo in Causeway Bay; Moko/Grand Century Plaza and Langham Place in Mong Kok; and Harbour City in Tsim Sha Tsui. Price drops will not be found in places where prices are already quite low, or where the margins are thin to begin with. So markets in Hong Kong and mom and pop stores will not be offering major discounts during sales season. You’re usually encouraged to bargain prices lower at these places at any time of the year, as the prices on display are always inflated in any case. It's the same as the city's famous tailors: don't be sucked in by too-good-to-be-true promotions. Negotiate to get the best price. If you can't make it to Hong Kong during either of these sales seasons, consider visiting one of the city’s many outlet malls. You'll find designer labels, as well as homegrown names selling off last year's stock at knockdown prices. Most are focused on fashion, including shoes and accessories. Alternatively, spring for the train to Shenzhen. For electronics and local clothing, the Chinese city across the border with Hong Kong offers much lower prices. You can easily take a day trip to Shenzhen – it's less than an hour from Hong Kong – and load up on essentials.